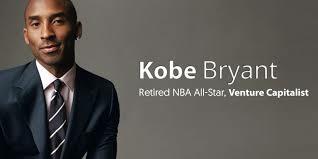 Kobe Bryant: NBA Hall Of Famer… venture capitalist. Shooting hoops and writing checks might not seem to have too much in common, but this is the road that Bryant is taking following his retirement from basketball. Bryant has teamed up with investor Jeff Stibel to launch a $100 million fund for tech companies, according to the Wall Street Journal. The duo have invested together informally — having made deals with 15 companies since 2013 — but now the tie-up is being made official with ‘Bryant Stibel,’ their VC firm which will be based in Los Angeles. The $100 million is focused on tech, media and data companies and it is expected to last “the next few years,” the Journal reported. Bryant and Stibel are providing the fund in full themselves, and “aren’t seeking outside investors yet,” according to the report. Bryant, who is known for his skillful use of social media to connect with fans directly, told the Journal that he believes he has a flair for identifying promising entrepreneurs. “It’s the inner belief that a person has that he will endure no matter what the obstacle may be. It’s that persistence, the entrepreneur doing what he or she truly believes in and truly loves to do,” he said. Despite the name, this isn’t the Kobe Bryant Show though, Stibel explained. “We don’t want to be in the business of investing in companies so someone can use Kobe as an endorser. That’s not interesting. The point is to add real value,” Stibel — whose past ventures include Web.com and four exits — said. Bryant’s fund may be the highest profile example of a sportsman going into the VC world to date, but it is certainly not a one-off case. Shaquille O’Neal, and current players Carmelo Anthony and Steph Curry are among those who are involved in financing or managing startups. New York Knicks star Anthony has a fund called Melo7 Tech Partners, which he discussed at length with us at our TechCrunch Disrupt event last year. While Curry is involved with content management startup Slyce, among other projects and he is scheduled to chat about those projects (and more) at our upcoming Disrupt San Francisco show next month.